The small claims procedure sets out the directions that may be given in small claims cases. Directions help the parties prepare for the final court hearing. In most small claims cases the directions are quite straightforward, reflecting the relatively informal nature of the small claims court. Judges have a wide power to add to the standard directions if they think extra guidance is needed. For some types of small claims the standard directions will inevitably be insufficient. Witness statements from the parties involved in the accident and from any witnesses to the accident. These should set out all the circumstances of the incident in a logical order. Invoices and estimates in respect of repairs of damage caused in the accident. If the claimant is claiming a sum for the costs of hiring a replacement vehicle the court will want to see the car hire documents. Any police report of the accident. A sketch showing the scene of the accident and the sequence of events. Whenever possible the parties should try to agree on a sketch plan prior to the final court hearing. The court may also request photographs showing both the scene of the accident and the damage caused. Any written contract, as well as photographs or plans showing the works. A list setting out the alleged problems with the work done and / or any scheduled work which has not been completed. Any estimates, invoices or receipts in relation either to work done or goods supplied or to repairs which have been carried out. Estimates for any unfinished works to be completed or a valuation for the portion of works that have been completed. If a small claims case relates to a dispute about rent arrears the court is likely to want a full schedule showing all rents received and / or owing. If the claim arises out of a landlord’s failure to return all or some of the deposit the judge may direct the landlord to set out in full his alleged entitlement to withhold the deposit. The landlord should set out any alleged breaches of the tenancy or any repairs that had to be carried out. 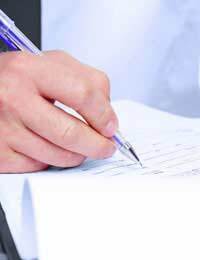 Supporting documentation – such as invoices or receipts - should also be supplied. In small claims cases alleging loss caused due to professional negligence the court may order the claimant to detail what the defendant is said to have done negligently, why they were at fault and what damage or loss this caused to the claimant. If there is a claim for specific sums or losses these will probably have to be itemised and justification provided for each item claimed. That a party’s case will be struck out if they fail to comply with a direction already given. By actively managing cases up to the date of the court hearing judges aim to prevent any unnecessary adjournments or last minute surprises. Parties should take care to ensure that they have read and understood all directions given by the court.